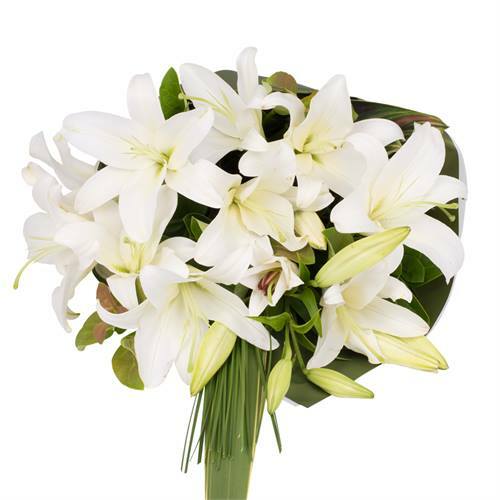 Send a simple yet elegant statement of five gorgeous pink Oriental lilies wrapped beautifully and delivered as a stunning bouquet. Some buds may be sent closed to ensure longevity so that your recipient can enjoy them for longer! 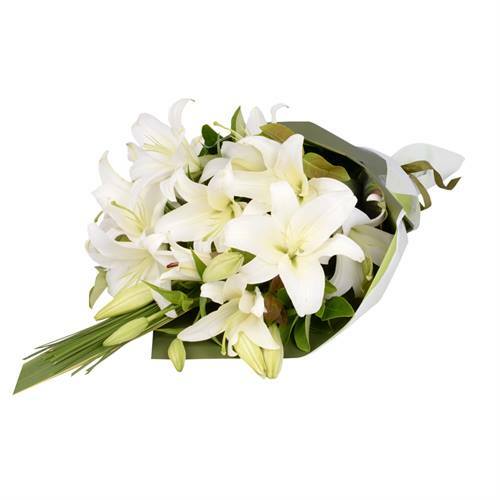 Lily Bouquet - White Send a simple yet elegant statement of five gorgeous pink Oriental lilies wrapped beautifully and delivered as a stunning bouquet. Some buds may be sent closed to ensure longevity so that your recipient can enjoy them for longer!